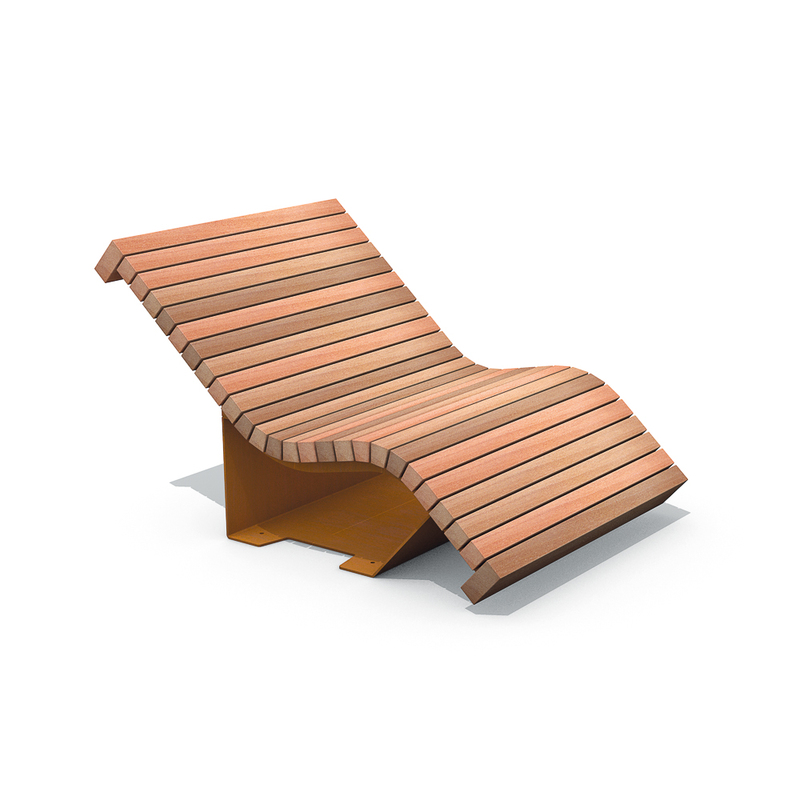 The Solid Serif Chaise Longue has an appealing wave shape. 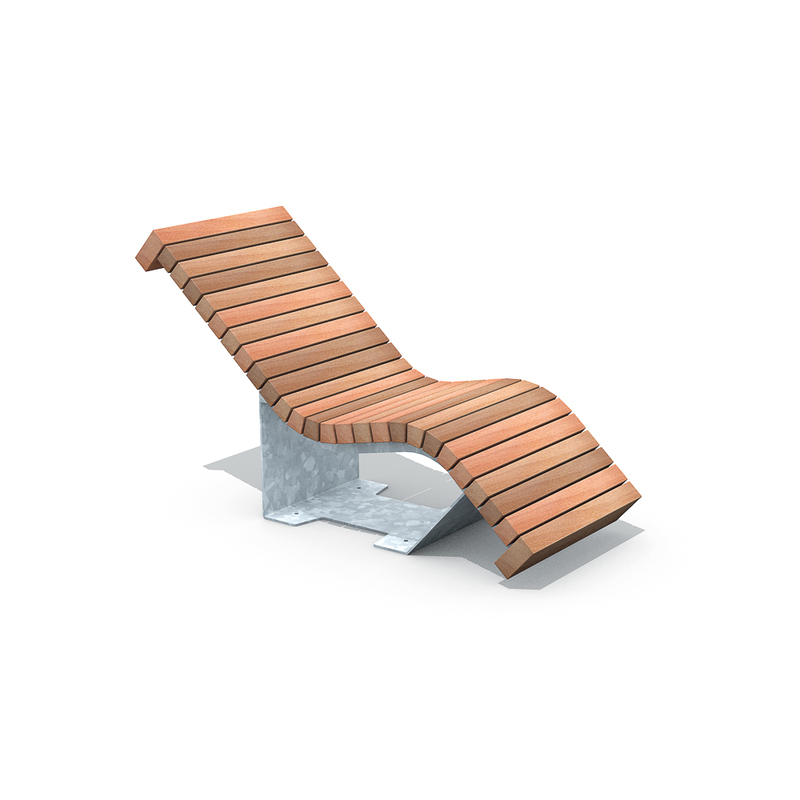 It is a recliner that is perfect for relaxing in the sun. 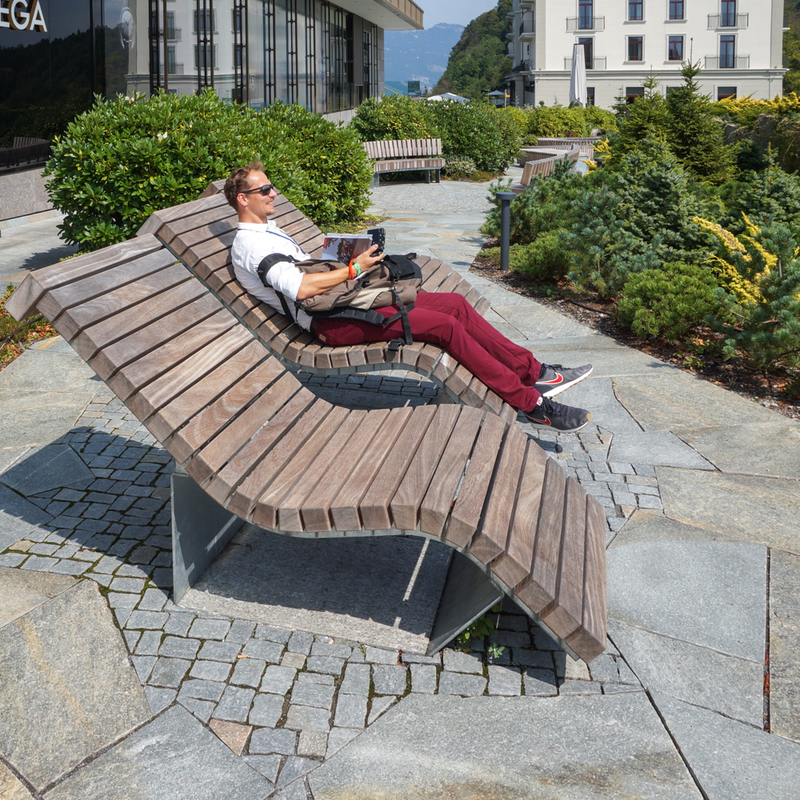 The wave-shaped seat is made of 70 or 120 cm-long Solid beams (7x7 cm - 2.8”x2.8”). It is finished with two broad, sturdy (Rough&Ready) beams – the Solid Serifs. 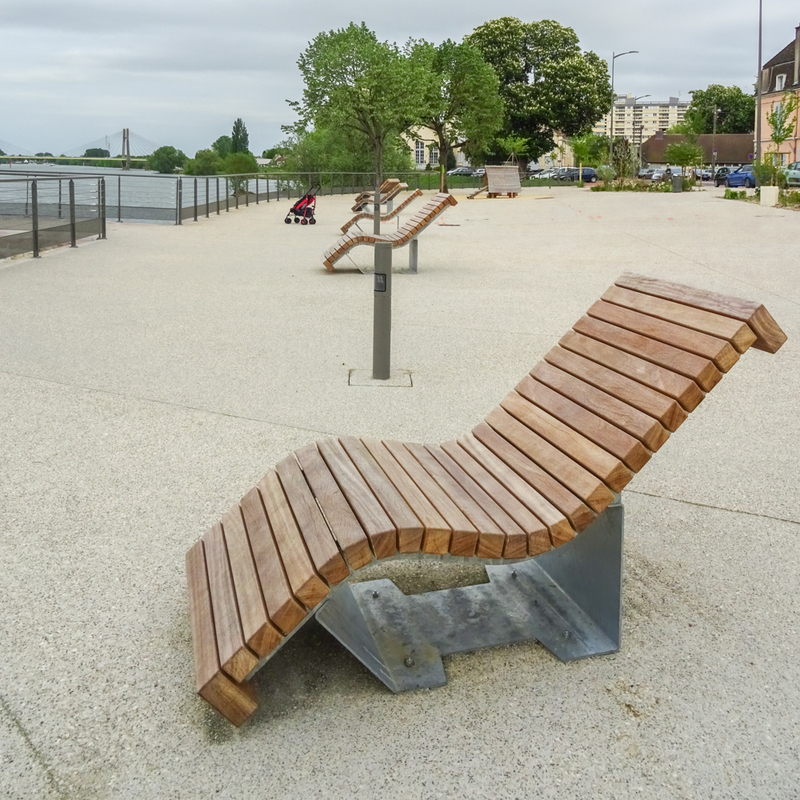 The Chaise Longue has a floating effect above grass. The steel support is galvanized or CorTen and can be anchored.